Another ski season is not far away, and many Swiss resorts have been busy upgrading their facilities ready for season 2016/17. In Zermatt the ancient gondola below the Rothorn from Gant to Blauherd is being replaced by a six-seat chairlift. 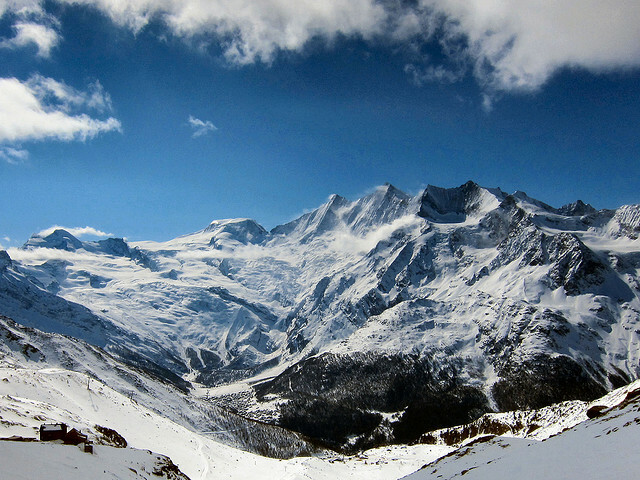 In Saas-Fee the equally ancient gondola in the Spielboden sector is being replaced by a faster 10-seater gondola. Andermatt continues its aggressive program of expansion. This season two T-bars will be replaced by six-seater chairlifts. In the following two seasons an additional two six-seater chairlifts and an eight-seater gondola will link the Nätschen area of Andermatt to Sedrun and open up 26km of new piste. Sedrun itself replaces a t-bar with a chairlift, a trend across many Alpine resorts. Most people know Klosters for the Parsenn area, but the seperate Madrisa area is popular with families. Here an innovative six-seater chairlift, “Schaffürggli”, is being installed, the first of its kind in Switzerland. It features a laser scanner that uses hydraulics to adjust the height of the seat, making it much easier for children to get on and off. The chairlift will also have heated seats and can take wheelchair users up the mountain. New lifts and replacement lifts are planned for a number of other resorts including Flumserberg, The Four Valleys, Corvatsch, Crans-Montana, Pizol, Les Diablerets, Villars-Gryon, Grüsch-Danusa and Val Müstair. I’ve often thought it would be fun to have a drone film my descent. It would also be useful to give visitors to swisswintersports.co.uk an idea of what to expect. Well Verbier got there first and is offering Europe’s first self-tracking drones. The drones follow you on the slopes using Bluetooth and a GPS-enabled Smartphone App and Téléverbier rents them out the Hexo+ drones for CHF400 per day or CHF250 for a half day, providing assistance and a video at the end of the day. Of course, if you fly to Switzerland, independent travellers can easily get to their resorts using the fabulous transport infrastructure available without having to resort to lengthy, uncomfortable coach transfers. You can also make the entire trip from many European cities directly by train, including London with the Eurostar ski train, booking for which is now open. 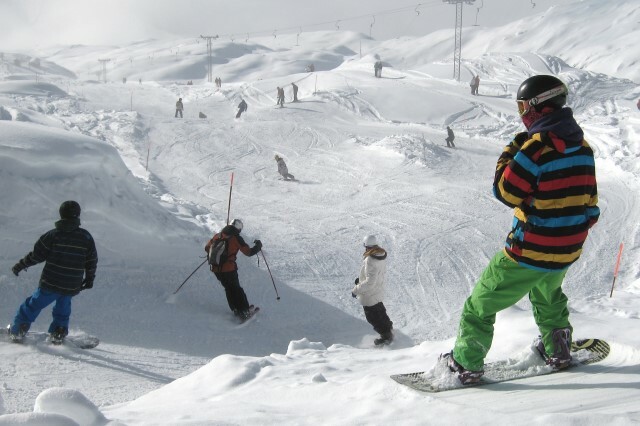 Just outside Switzerland’s borders but very popular with Swiss skiers is the Arlberg area in Austria. I remember that once you could get round the circuit that includes St Anton, Lech and Zürs, but for some years this has not been the case. Now a new gondola is scheduled to open that will link Zürs and Stuben to create the largest ski area in Austria, one of four new lifts that will be built in Ski Alberg over the summer. For the 2016/17 season this means Ski Arlberg will total 305km piste served by 87 lifts, fully linking St Anton, Stuben, St Christoph, Lech, Zürs, Schröcken and Warth.